Learn to meditate easily and successfully with Primordial Sound Meditation, a silent mantra meditation program, developed by Deepak Chopra, M.D. in a wonderful weekend meditation workshop taught only by certified Chopra Center Instructors. 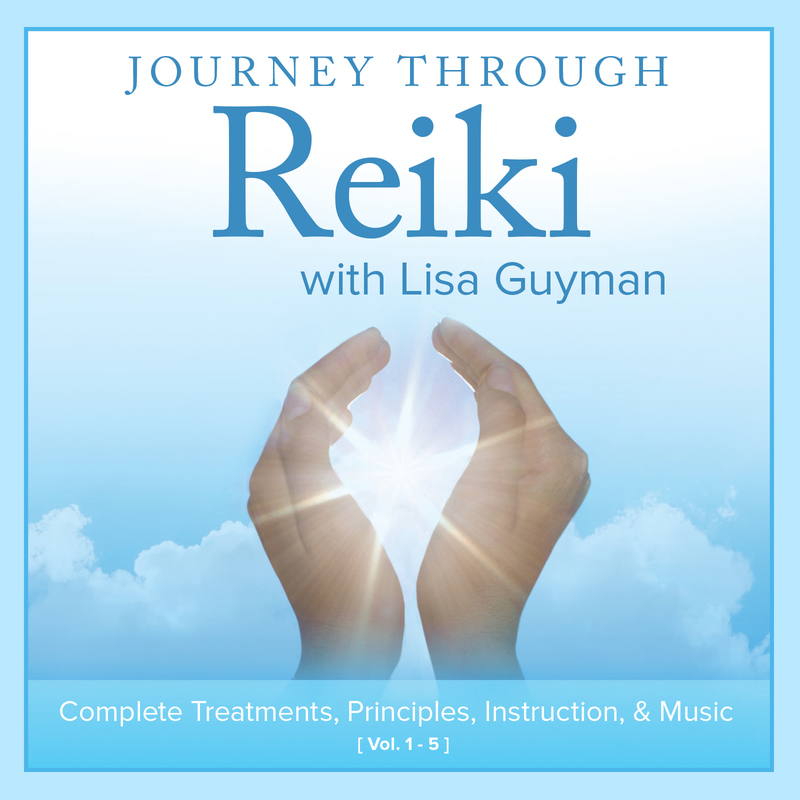 Lisa Guyman has been teaching Chopra meditation for 10 years in Colorado and Michigan and practicing meditation since she was 16 and teaching Reiki workshops for 17 years! Rare Opportunity. The ONLY Meditation Workshop in 2015 in NYC with Lisa Guyman! Michigan, Washington, Oregon and in her home state of Colorado! Experience Greater Calm & Clarity! Primordial Sound Meditation is easily learned and practiced and allows us to experience inner calm and deep relaxation. During this course, Lisa Guyman, Certified Chopra Center Instructor will guide you through all aspects of Primordial Sound Meditation. Lisa will teach you the personal mantra, based on the time and place of your birth. A mantra is a specific sound or vibration, which when repeated silently, helps you enter deeper and deeper levels of awareness allowing you to experience inner calm, deep relaxation, and rejuvenation. For an overview of what is covered in a Primordial Sound Meditation class – click here. Your instructor, Lisa Guyman, began her practice of meditation at 16. In addition to being certified by Dr. Deepak Chopra as a Primordial Sound Meditation instructor she is certified as a Seven Spiritual Laws of Yoga instructor, a Reiki Master/Teacher and a Yoga Nidra Instructor. Her published works include two guided meditation CDs and a 5-CD Reiki set which are available on Amazon and iTunes. This is a Rare Opportunity to Learn with Lisa in New York City! Reserve your space early – Lisa’s workshops sell out. Lisa lives in Denver, Colorado and teaches workshops in Colorado, Michigan, California and New York. This is the only meditation class she will offer in NYC in 2015! This workshop will take place in Manhattan and is in a beautiful, nurturing, comfortable and peaceful space for meditation classes and spiritual work. At this meditation workshop we’ll sit in chairs, however you can bring a meditation cushion if you wish to sit on the floor. Read Reviews/Testimonials from Lisa’s Meditation Students. What is covered in Friday evenings class? : The background of meditation and Primordial Sound Meditation, basic principles of meditation, benefits of meditation, the effects of stress and the unique restful awareness state of meditation, the four correct experiences, and intentions and desires. 6:00pm – 10:00pm. What transpires on Saturday with the personal meditation instruction? : On Saturday you’ll have a private appointment for your one-on-one meditation instruction. Here you will receive your mantra and learn the process of meditation. This portion takes less than 15 minutes. After your private instruction you’ll move into the group meditation room and begin your meditation. You’ll meditate for 20-30 minutes. After your meditation allow some some so you can wrap up in a leisurely way and go about your day. Allow one hour for your total time at the studio on Saturday. Upon registration Lisa will schedule your appointment time between 3:30pm-6:30pm. What is covered on Sunday? : Perfecting the practice – practicalities of meditation (the how, when, where & what), higher states of consciousness with an exclusive Deepak Chopra video shown ONLY in this workshop, exploration of intention and desire, an overview of Ayurveda, group practice of meditation. 10:00am-4:30pm. We will be taking a lunch break on Sunday. What is covered on our Conference Call – Following the Course? On this conference call I’ll answer any questions that have come up and we’ll even meditate together! If you can’t attend this call it will be recorded for your convenience! This will be scheduled to transpire 3-4 weeks after the course on a weeknight evening! What happens after the Workshop? You’ll find that you are comfortable with the practice of meditation and look forward to your daily meditation practice times. You’ll start to notice changes in your life….being less reactive, clearer, more relaxed, happier and enthusiastic about life. Your quality of life increases!!! You are so thankful that you jumped on this rare opportunity and set aside this time for yourself! Saturday, February 21: One hour meditation instruction appointment between 2:30pm – 6:30pm (scheduled upon registration). Appointments available at 15 minute intervals. Sunday, February 22: 10:00am – 4:30pm. This NYC meditation workshop includes a FREE private follow up Conference Call/Q&A just for those that attended that weekend! This call is recorded for those who can’t attend! This Live Call is scheduled on a weeknight evening (3-4 weeks after the class) and usually runs 60-75 minutes. Register now by calling (720) 683-0444 or register below! The myths and misconceptions of meditation (i.e. that it is hard and requires that you empty your mind of thoughts. You will receive personal meditation instruction with Lisa Guyman and will be given your personal mantra, calculated by The Chopra Center and be instructed on how to use the mantra in meditation. You’ll meditate twice during the class – once on your own and once with the group. You’ll learn how to easily integrate meditation into your life. You’ll be given Primordial Sound Meditation literature from The Chopra Center. Free support for your meditation practice by phone or by email and in-person. Workshop Pricing for Primordial Sound Meditation NYC Class – February 20-22, 2015! Your personal mantra (calculated according to your time and place of birth). The Chopra Center’s “Guide for New Meditators” 25 page guidebook. Meditation CD with Deepak Chopra, supporting you after the class in your daily meditation practice! 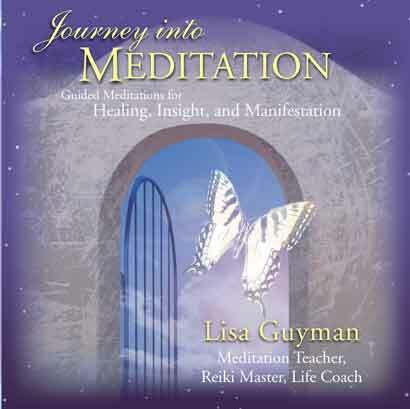 A copy of “Journey into Meditation: A Roadmap to Inner Healing and Wholeness” by Lisa Guyman. This NYC workshop includes my first ever FREE private follow up Conference Call/Q&A/Group Meditation just for those that attended that weekend! This call is recorded for those who can’t attend! This Live Call is scheduled on a Tuesday evening (about 3-4 weeks after the class) and usually runs 60-75 minutes. The recording of the call will be available online for 30 days after we meet! Lisa’s workshops sell out — so register early to guarantee your space! Class space limited! A Note from Lisa Guyman: I learned TM when I was 16 and at 19 I attended the Maharishi University of Management in Fairfield, Iowa (where all students, staff and professors practiced TM). I attended a meditation conference in Washington DC when I was 22 where I first heard Deepak Chopra lecture! I knew I needed to become familiar with his work. Both meditation practices originate in India and while the mantras are completely different the techniques, practice and benefits are completely comparable! If you can’t attend my Primordial Sound Meditation class I recommend finding another Chopra Meditation course or learning Transcendental Meditation! In terms of pricing I believe even $1500 is worth it!!! No question! Meditation is a practice you will have your entire life! How much do we spend on one college course that we never apply in daily life? Do we waste about $4 a day on miscellaneous stuff in one year? Yes! That right there is $1460 in one year. The TM organization instructs meditation in the inner city, in third world countries, prisons and has spearheaded much of the research on meditation…and to do all this humanitarian work requires funding. Learn to meditate with this Chopra Meditation Course – It will be one of the best investments you ever make! For an Overview of What is covered in a Primordial Sound Meditation Class – Click Here. “If you were to ask me what was the most important experience of my life, I would say it was learning to meditate. For me, that is the most important thing a person can do to restore harmony and evolve to a higher state of consciousness.” — Deepak Chopra, M.D.